Who wants glass in their brandy? 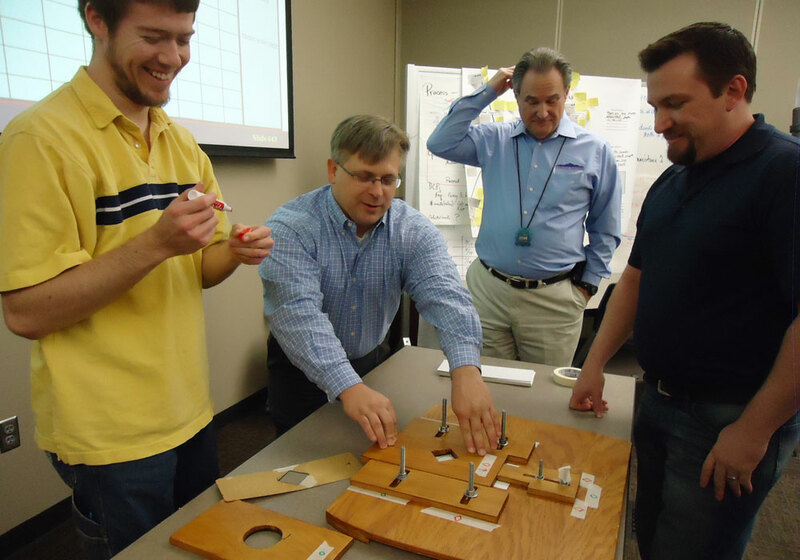 A team of people from a glass container plant came to a seminar on Managing for Continuous Improvement. They had one critical issue on their minds. Glass brandy bottles would sometimes break in the filling process. They were convinced that the culprit was the thickness of the bottle shoulder which would bump up against other bottles on the conveyor belt. What was most puzzling to them was that all of the bottles they checked met the specification on shoulder thickness. Brandy bottles were inspected for shoulder thickness on a regular basis. This inspection was a destructive test and done at the beginning of the shift with one bottle from each of the 20 molds to see if the shoulder thickness met specifications. After a conversation during which I asked lots of questions specifically about the process and the data they collected, I analyzed their data in detail taking into account how their process worked. Multiple molds were used in making the brandy bottles and I analyzed the data separately for each mold on process behavior charts with accompanying capability analyses. I was not surprised to find that each mold had its own behavior with respect to shoulder thickness. Most of the molds had predictable behaviors, but a few of them had an average that was too close to the lower specification and several others had much more variation. It was not unlikely that these predictable processes would produce some bottles with shoulder thickness out of specification. I showed my analyses to the team. We outlined a plan to collect data that would monitor the shoulder thickness more often than once a shift. The new data collection plan was to take 8 containers every 2 hours for a total of 32 containers each shift and analyze the data using a process behavior chart. If the process behavior chart gave a signal that the shoulder thickness changed to thinner values for a particular mold, the quality inspectors acted to isolate containers from that mold until it could be replaced. These actions took place even if the containers were not yet out of specification for shoulder thickness. Finally, this information was sent to the mold shop so that the molds could be improved as well. Using this new data collection and analysis approach for monitoring the shoulder thickness and taking appropriate actions, there were no more breaks on the brandy filling line. The brandy plant was ecstatic and other customers began demanding the same approach for their issues.